Business bankruptcy is the legal position of a business that is unable to pay its debts to creditors. The status is ascribed by the court, usually at the initiative of the debtor, at the point when they realise they cannot meet their financial liabilities. 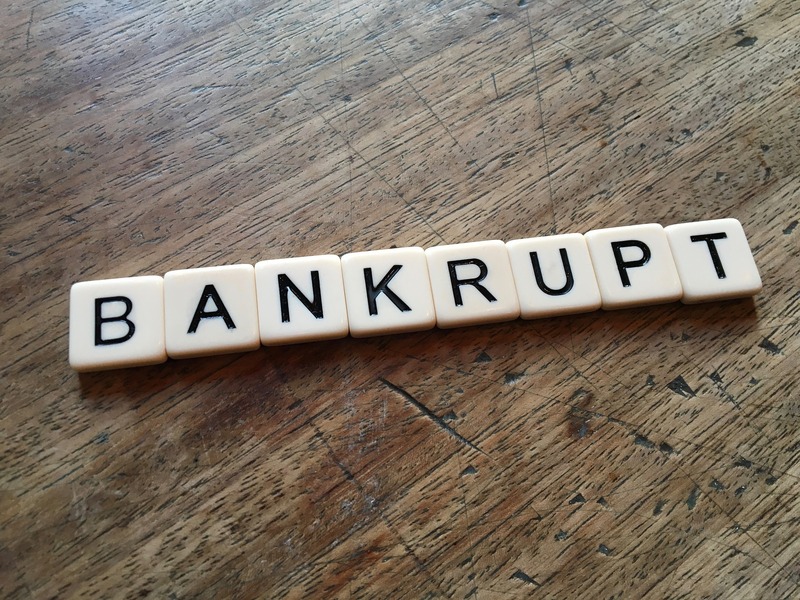 In this article Bankruptcy Canada give an overview of different types of bankruptcies and their effect on business’ income. The assets of the debtor are measured and valued, and some of them may go towards repayment of part of what the business owes. In theory, filing for bankruptcy benefits the economy because creditors get some measure of rebate depending on the what the assets of the debtor are worth. The debtor, on the other hand, is relieved of debt obligations while gaining a second chance to access consumer credit. Business bankruptcies fall into three main categories, namely Chapter 7, Chapter 11, and Chapter 13 bankruptcies. Chapter 7 is filed on behalf of partnerships or corporations if a business does not have enough assets to liquidate and it is clear that it cannot move forward. The trustee, in this case, sells off the company assets and pays creditors, and it is a viable option for business owners who do not want to deal with creditors. It is not applicable for sole proprietorship. Chapter 11 bankruptcy, or business reorganisation insolvency, is filed by a business that wishes to remain in operation while making plans to repay their debts. It may seem similar to chapter 1 bankruptcy, but with this type, appointment of a committee on behalf of the creditor and filing reports for ongoing operations are two additional requirements. Chapter 13 bankruptcy is specifically for individuals and sole proprietorship. If you file for bankruptcy under this category, personal debts and business ones are filed together. One advantage of this type is that you do not lose your property, and your debts are put under a repayment plan. It is the ideal choice for most small business owners who do not qualify to file for bankruptcy under Chapter 7. Filing for bankruptcy should be informed by several factors as outlined in bankruptcy filing laws. Business-related bankruptcy can be especially costly. For the process to be successful, you must engage the services of a bankruptcy trustee. A trustee will help explore all the available options, as filing for bankruptcy should only come as a last resort. When you finally decide that bankruptcy filing is the way forward for you, your trustee will help you choose the best option under which to file. If your business is a sole proprietorship and you wish to file for bankruptcy, take note that your assets cannot be held separately from personal assets, and in effect, business bankruptcy, in this case, is almost synonymous with personal bankruptcy. However, an incorporated business is considered a separate legal entity and cushions you from liability. Declaring bankruptcy as a sole proprietorship means that you will surrender everything you own to an insolvency trustee in exchange for being declared debt free. This gives you an opportunity to start over, but it affects your credit history, making it difficult for you to access loan facilities in the future. One of the factors that you should consider when filing for bankruptcy is how it will affect your income. UK Law states that you report your income status to your chosen trustee every month. The situation creates far-reaching effects on your income and finances, but at the end of the day, it is the right answer for your financial situation. Whichever the option you choose to file under, each will have a different impact on your income and your finances. Filing under Chapter 7 absolves you of all debt and obligation to creditors. This means that medical bills, credit card debt, and income taxes more than three years old become obsolete, and your cash flow significantly improves because you have no debts to repay. Under Chapter 11, the repayment period is adjusted, in which you are required to make payments to creditors in 3 to 5 years depending on the much you earn. The law will require you to commit all your disposable income to debt repayment. Hence your cash flow will be a bit constrained for that period. Filing for bankruptcy is a way of acknowledging your inability to pay off debts, at least if your current creditors’ terms are anything to go by. This in itself will make it hard for future lenders to view you as a worthy credit risk. In future, it can be problematic for you to qualify even for the lowest interest rates, and if you can access any credit facility, it will be at very high interest rates. High interest rates will have adverse effects on your finances as you might not be able to afford some luxuries. As for your business, it will also suffer the impact of filing for bankruptcy. The company may not be able to access loan facilities for business expansion or credit facilities from suppliers and other players in the supply chain. Once you have filed for bankruptcy, strive to work on your credit report. This will slowly make the effects of insolvency diminish while helping your business regain trust with your creditors. More on small business finances. What happens when your client goes bust? What is the difference between liquidation and insolvency? How long will zombie companies be tolerated?